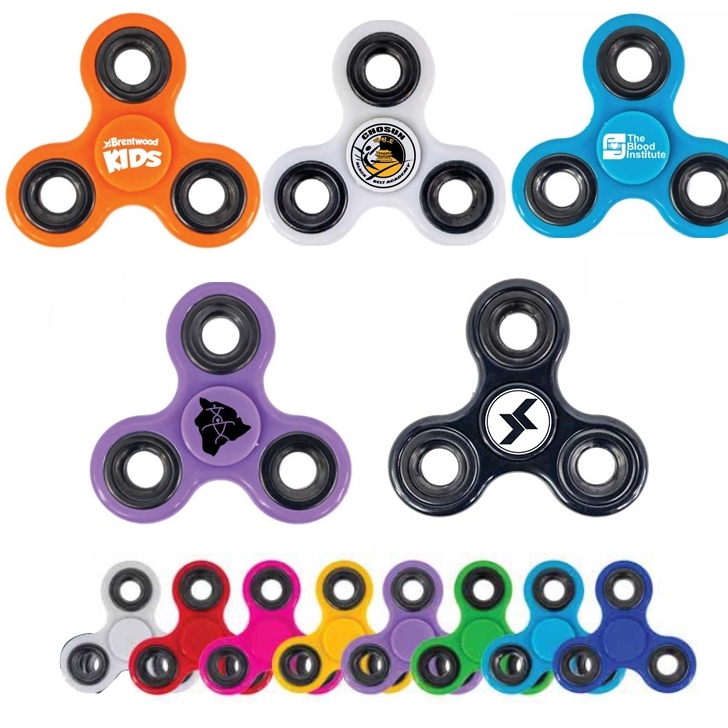 The fidget spinner has been an incredibly popular toy and is now the hottest promotional giveaway item of 2017. It has ball bearings in the center for smooth spinning and weighted metal rings on each arm for an extended spin time. Strong and durable ABS plastic Spin time of around 2 minutes Polished texture. Packaged in its own box. Package: 1 pc/box, 400 pcs/ctn, 46 lbs/ctn.